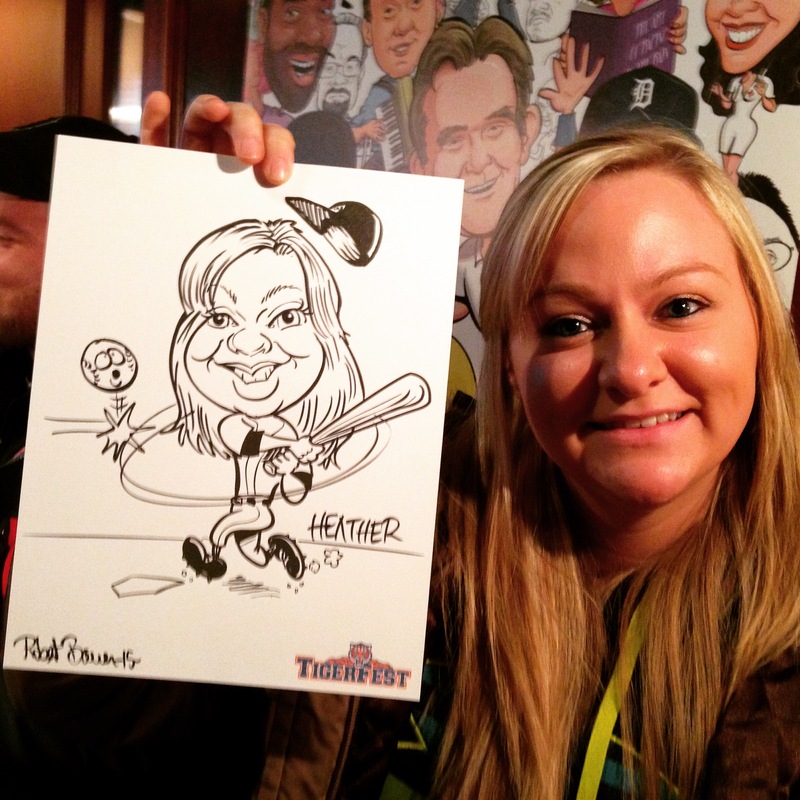 Thousands of Tiger Fans showed up in freezing temps for the annual winter celebration of everything Tigers this past weekend at Comerica Park. 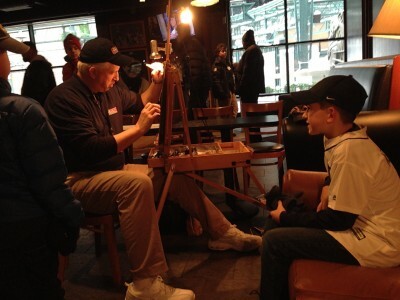 This is their chance to meet actual players and receive autographs from their favorite Tigers every January. 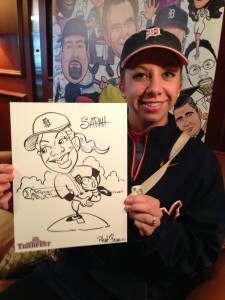 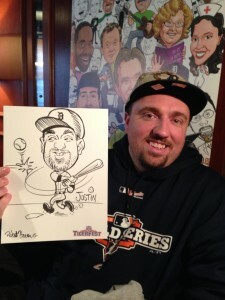 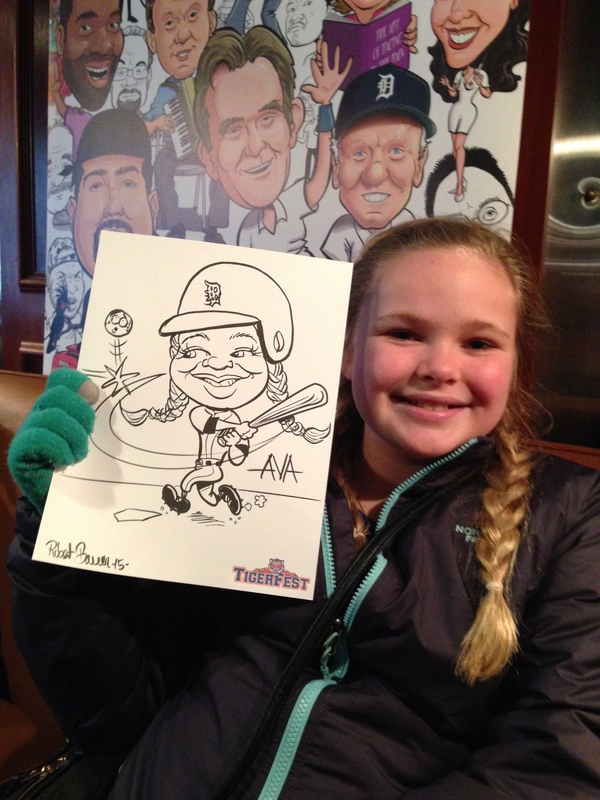 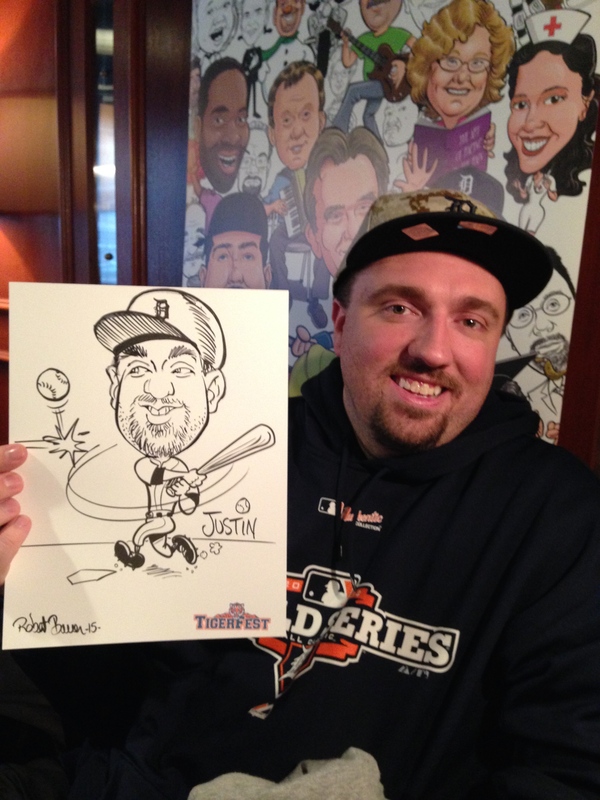 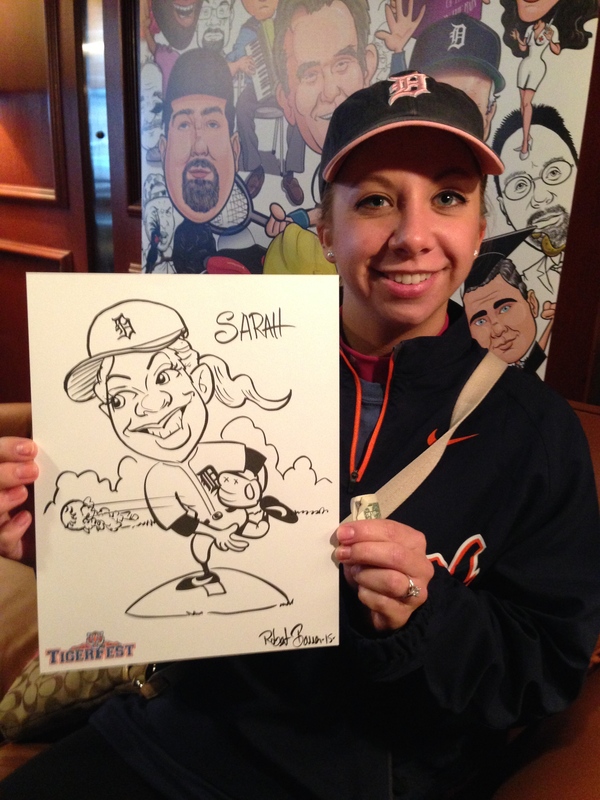 Goofy Faces was there for it’s 5th straight year drawing caricatures of fans as Detroit Tiger pitchers and batters. 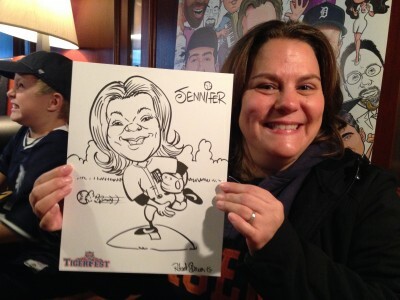 Two artists drew attendees for 6 straight hours inside the Tiger Den. 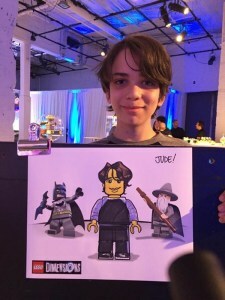 They drew over 180 faces in total. 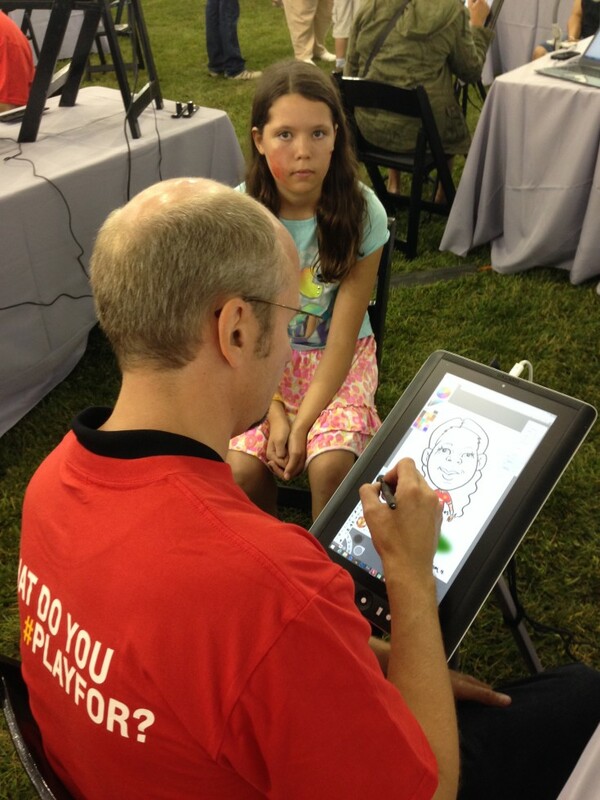 Everyone enjoyed getting their faces drawn even though the wait was sometimes an hour long. 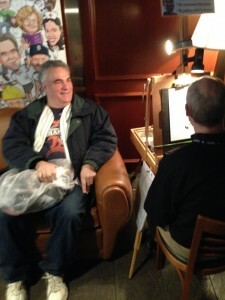 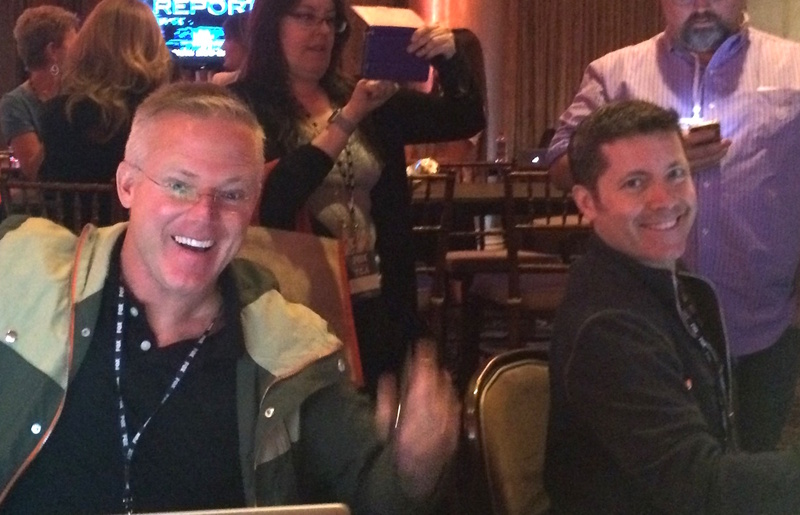 However, compared to the 2-3 hour wait for autographs outside, most considered it a great deal. 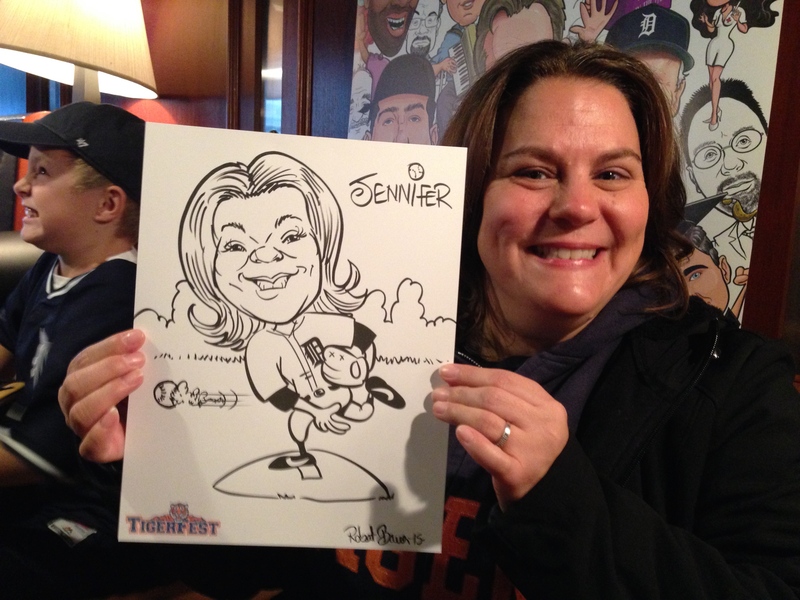 Go Tigers in 2015! 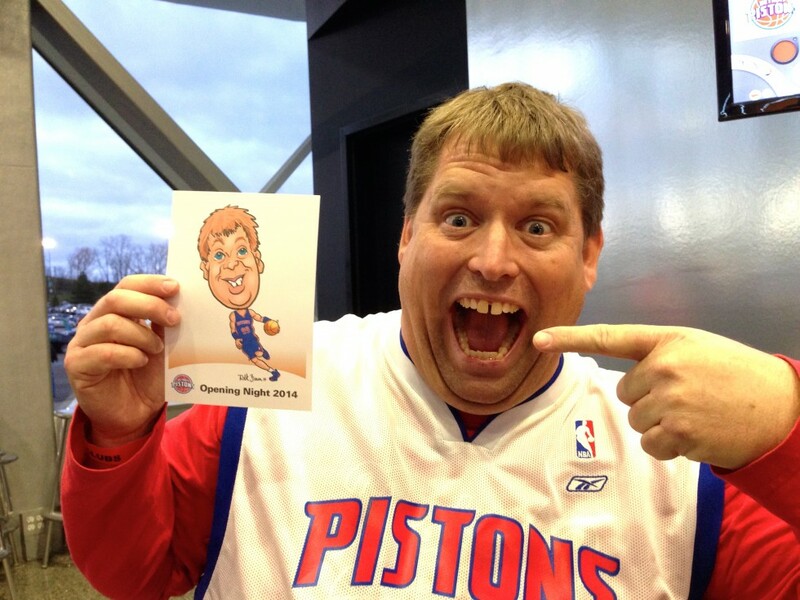 The Detroit Pistons had their 2014 home opener at the Palace of Auburn Hills on November 1st and Goofy Faces was there. 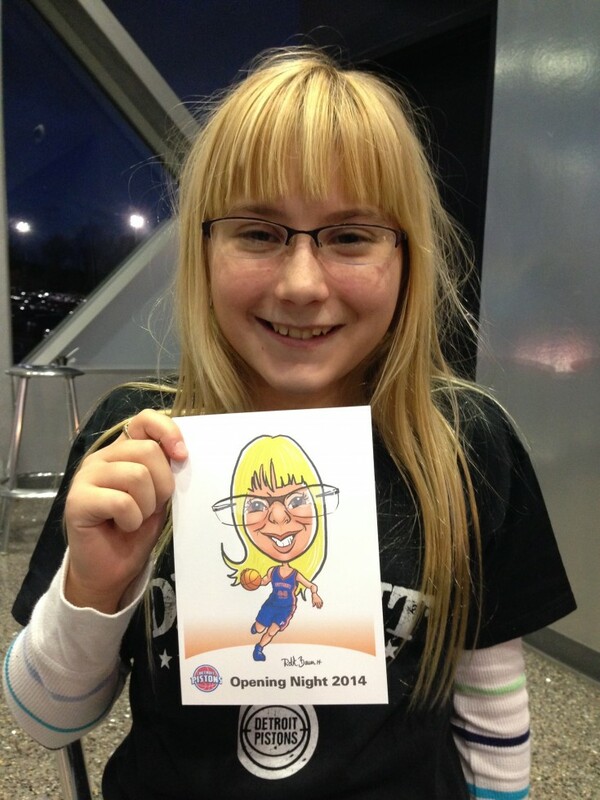 The Pistons hired 2 eSketch™ artists and a face painter to entertain fans who arrived before the opening tip off. 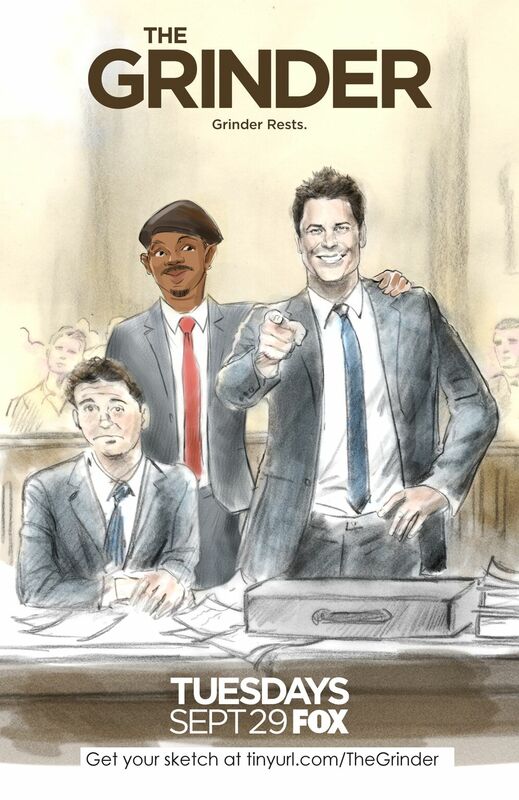 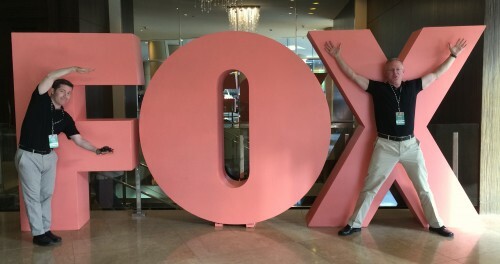 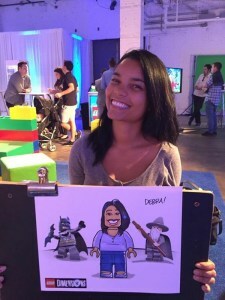 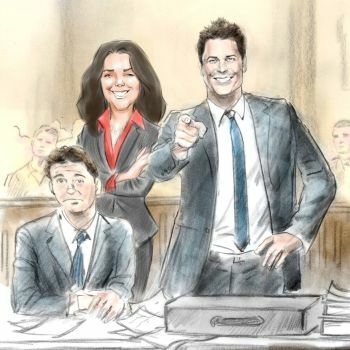 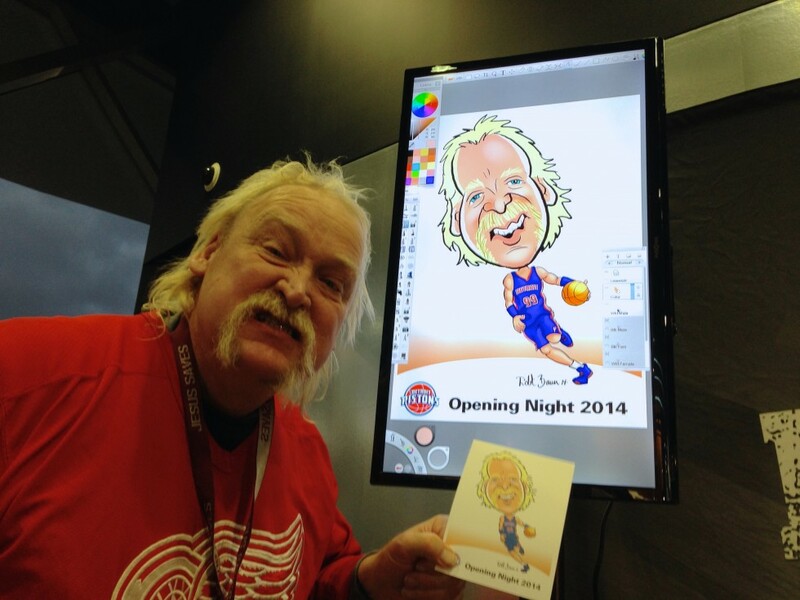 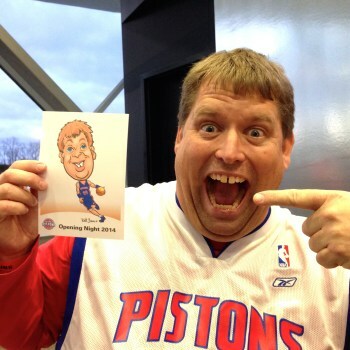 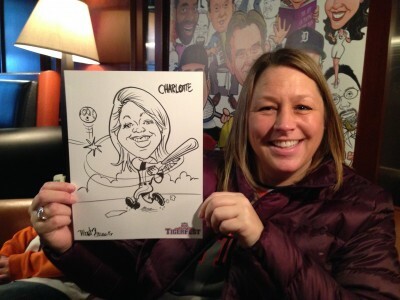 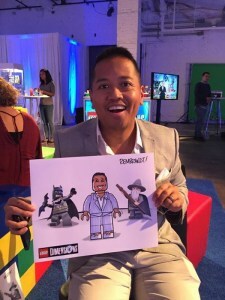 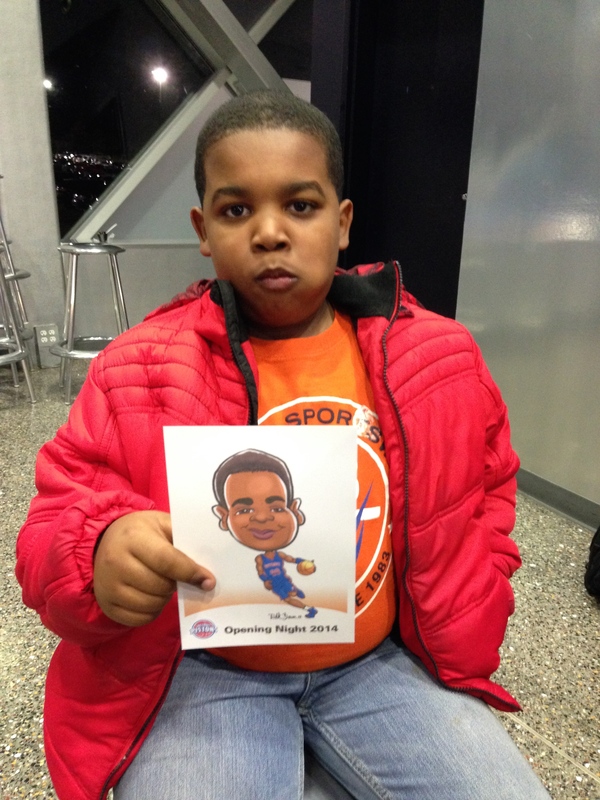 Both eSketch™ artists provided live color digital caricatures to guests at The Palace that featured a Pistons basketball player wearing their home jersey. Fans passing by enjoyed seeing each caricature take shape on a large display screen while those modeling for their caricature received a free 5X7 IN color print to take home as a souvenir from their evening at The Palace. 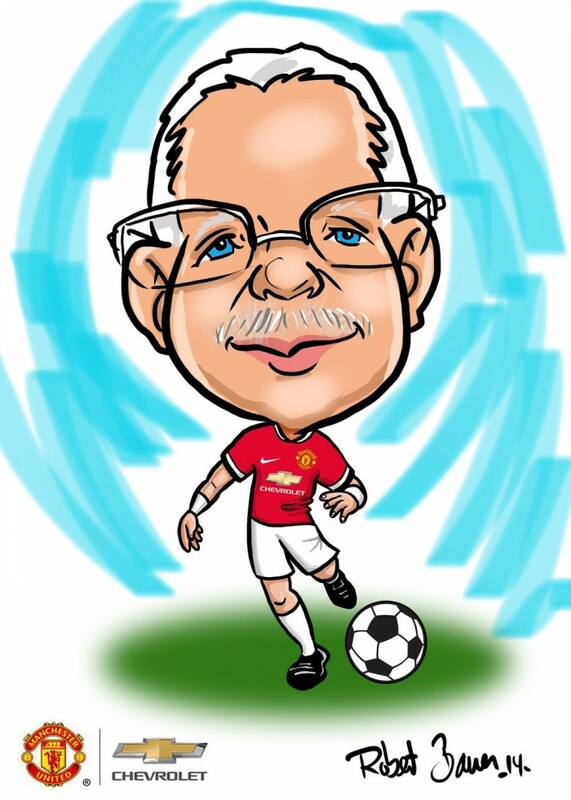 The Macomb County Provider Alliance brings together organizations which operate residential, vocational, and related services programs for individuals with disabilities in Macomb County. 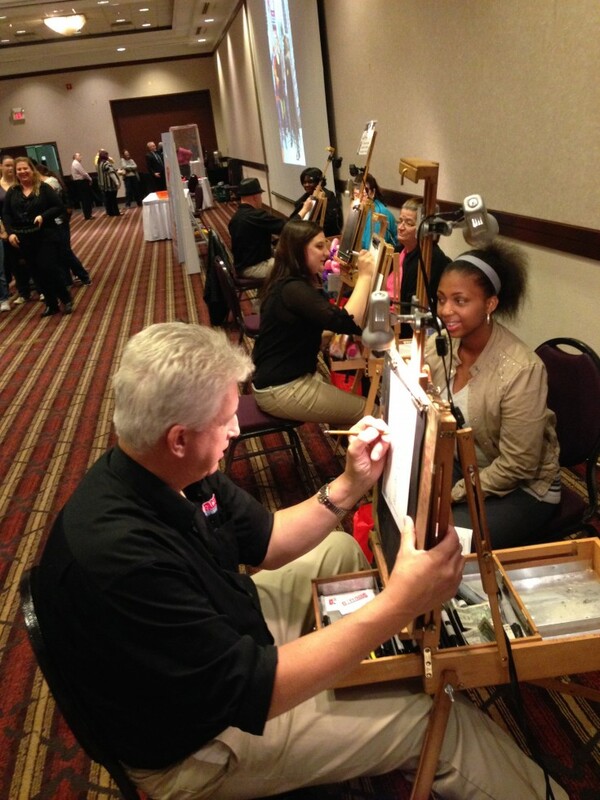 All activities of the MCPA are built around the common interest of improving the business conditions for their membership organizations that provide support to persons with disabilities in Macomb County. 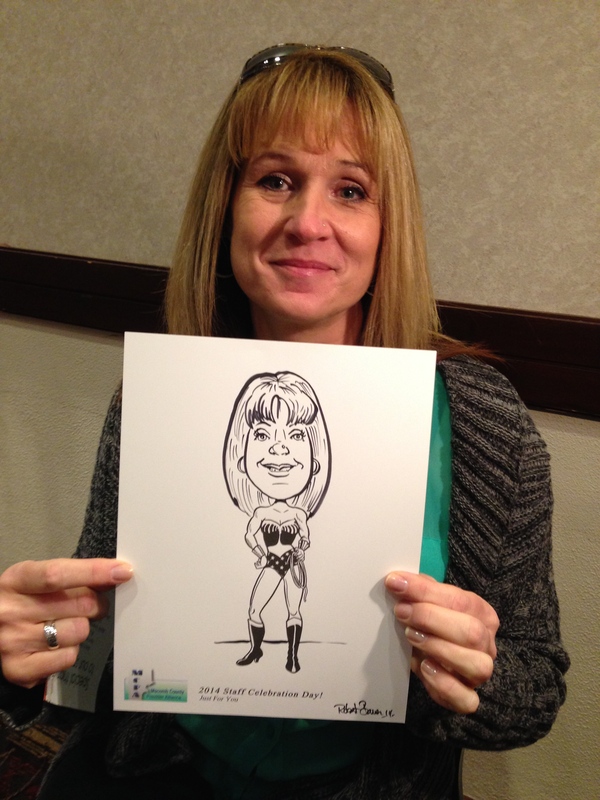 Each Fall, they host a conference for providers who work in Macomb County. 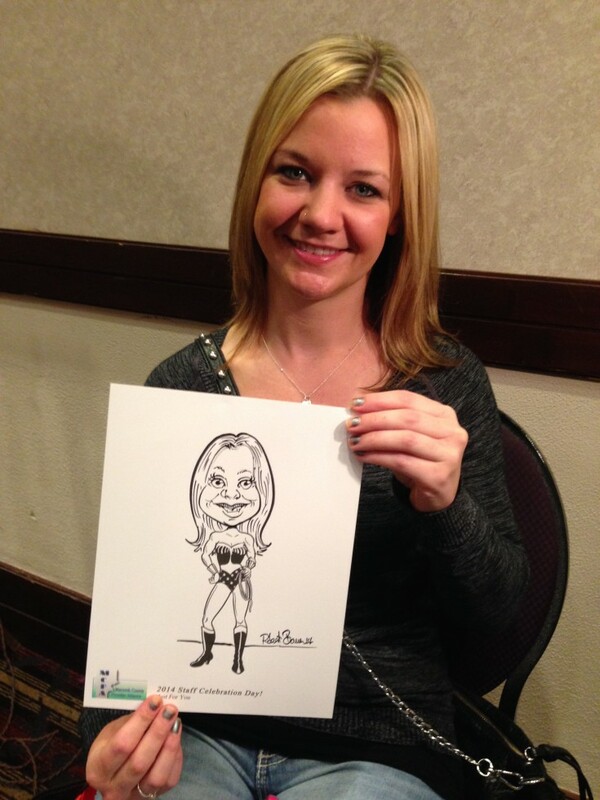 The conference is an uplifting event that features a catered lunch, prizes, music and entertainment. 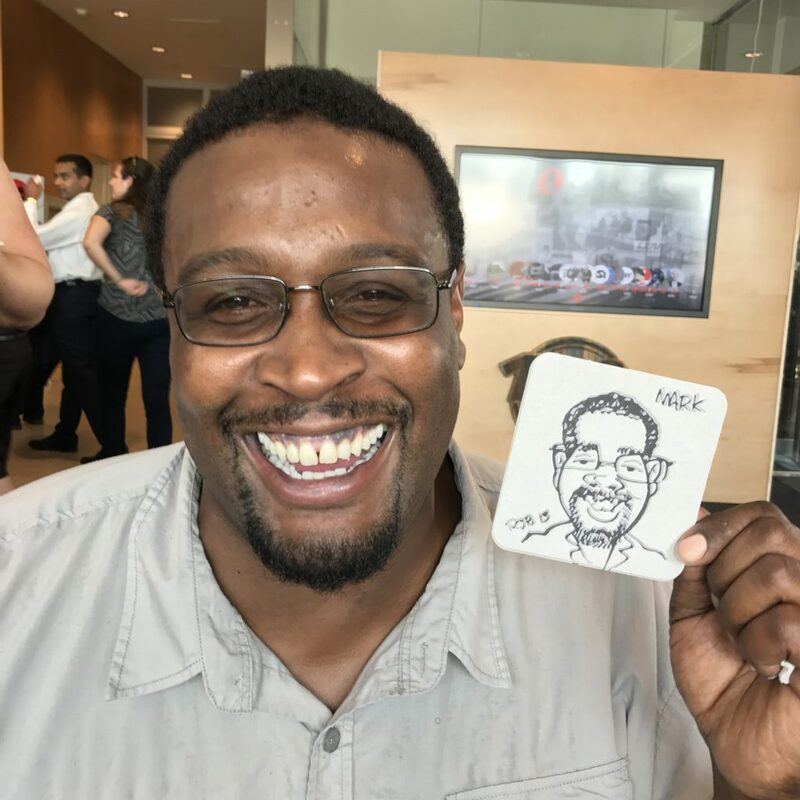 Goofy Faces has provided caricature entertainment for the past 3 years and each year, they become more popular with the attendees. 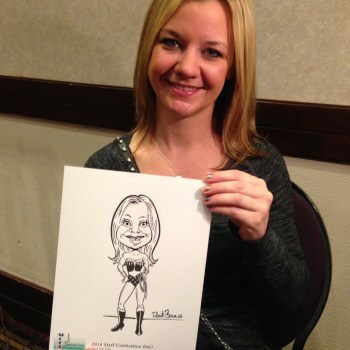 This year’s theme was Superheroes. 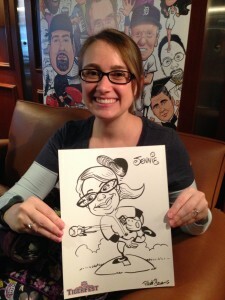 Guests had a choice to be drawn as Wonder Woman, Superman or Supergirl just in time for Halloween. 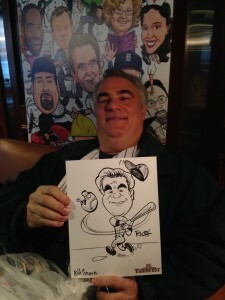 eSketches™ for Chevy in Ann Arbor! 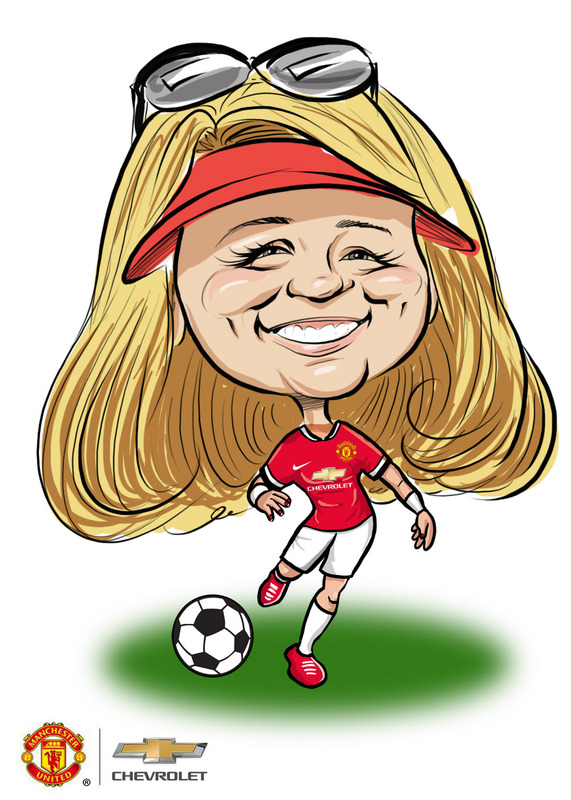 Ann Arbor hosted a soccer match between Manchester United and Real Madrid at The Big House on the campus of the University of Michigan and Chevy was on hand as a sponsor of the event. 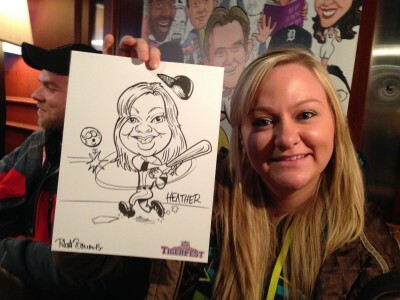 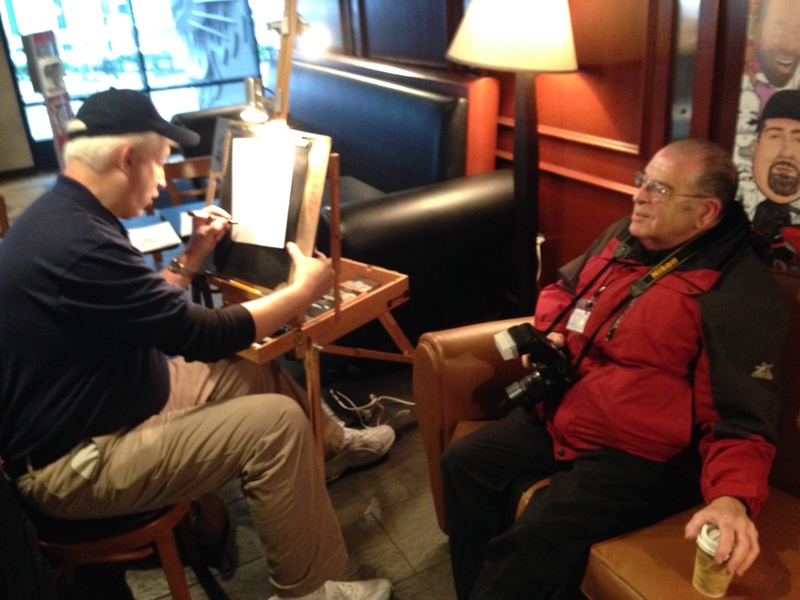 Goofy Faces was brought in to draw caricatures of guests during the match which attracted over 109,000 fans to Ann Arbor! 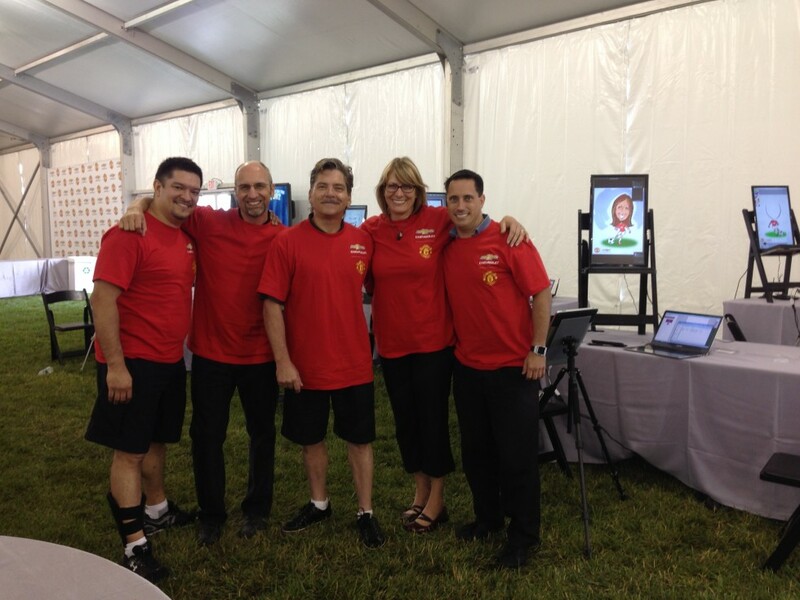 5 artists from around the country came and drew live digital color caricatures, known as eSketches™ for 4 hours inside a mega-size tent. 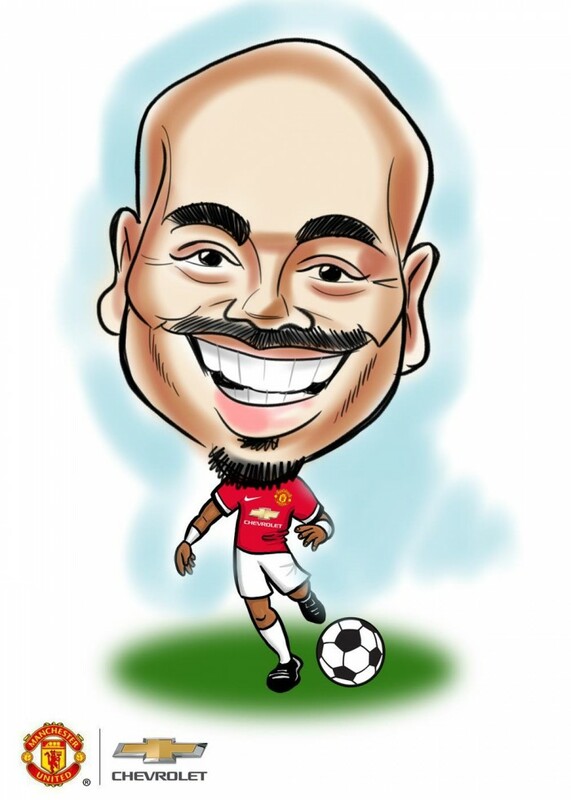 Each guest was drawn as a soccer player wearing a Manchester United Jersey and then emailed their caricature after the event ended. 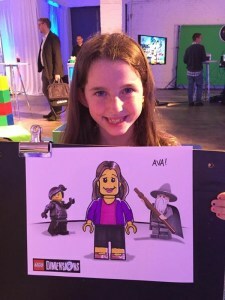 Chevy featured their logo at the bottom of each drawing as well. 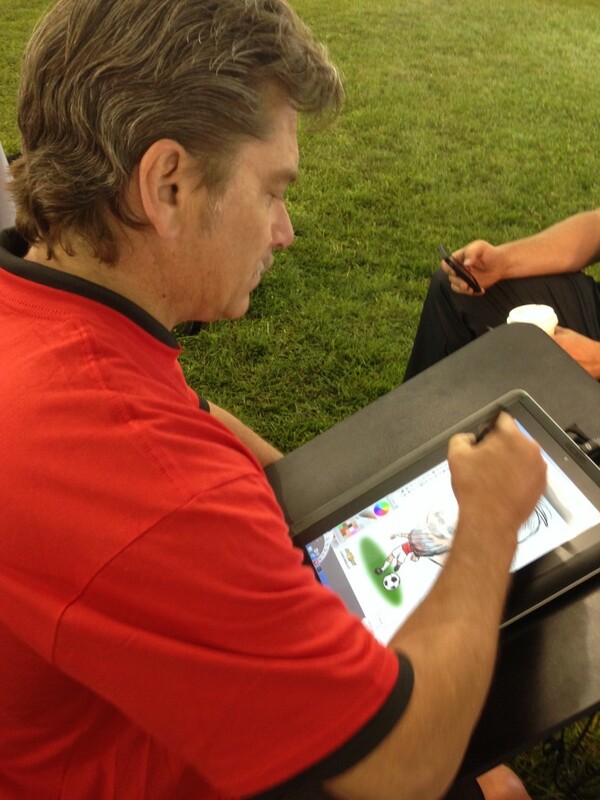 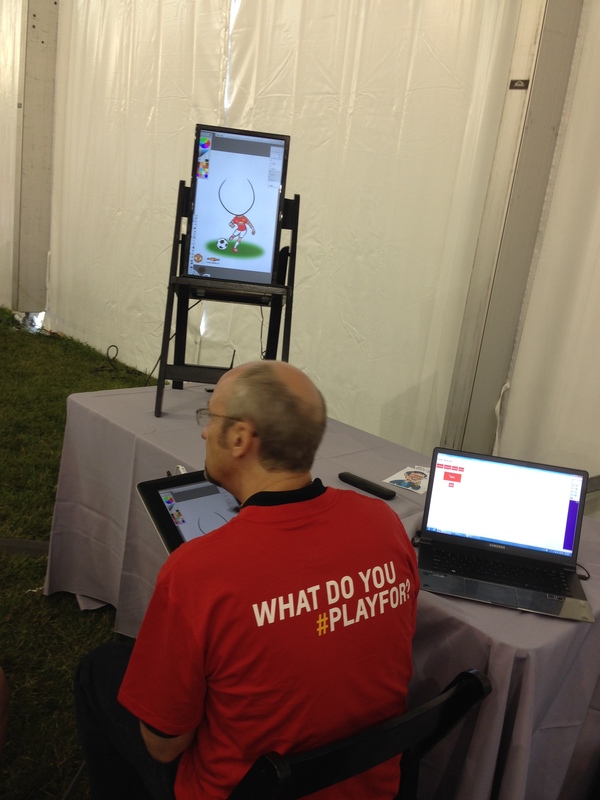 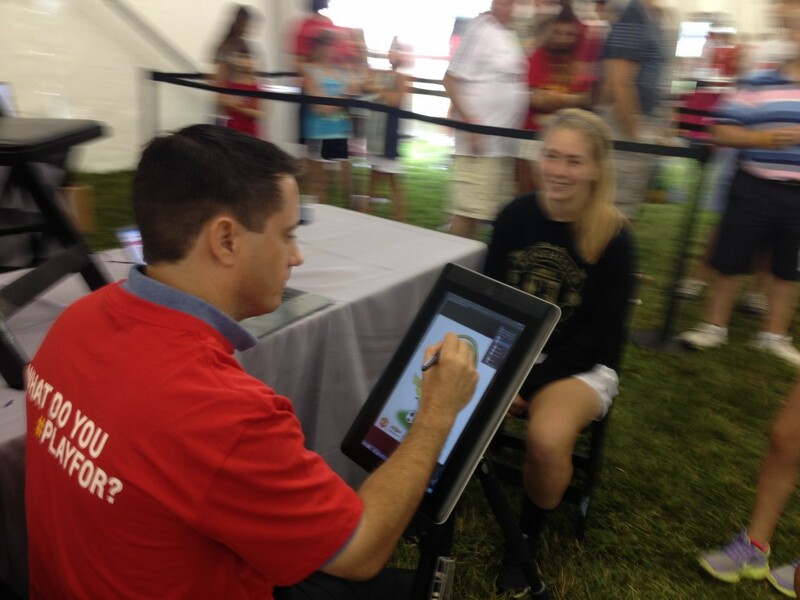 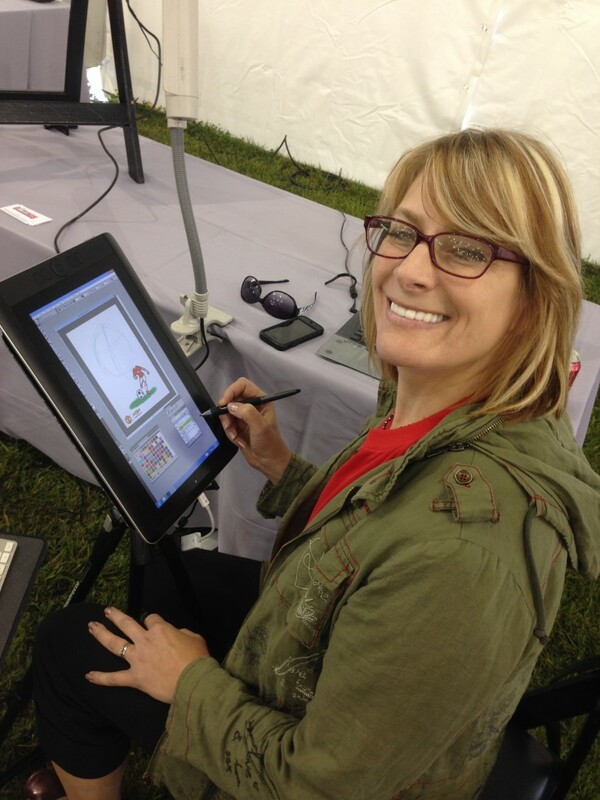 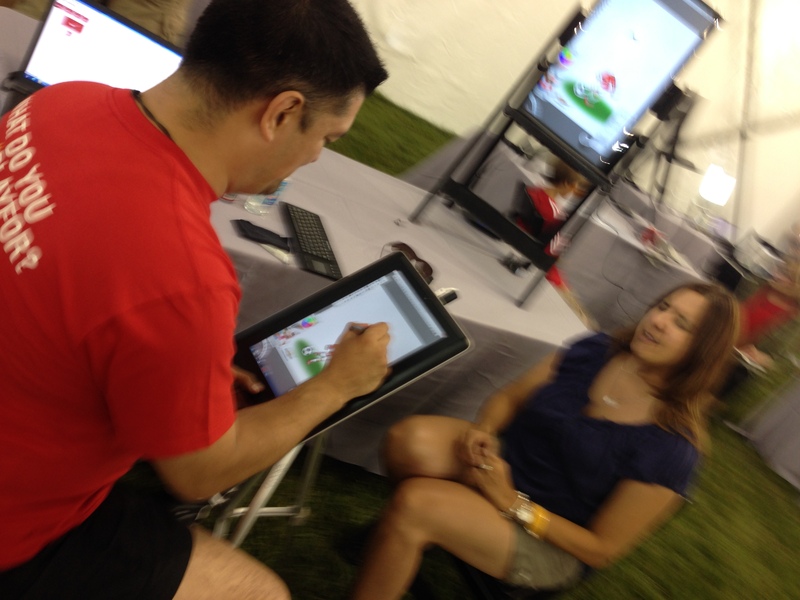 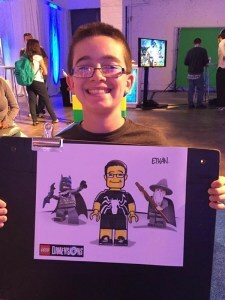 The digital artists drew 155 eSketches™ during the event! 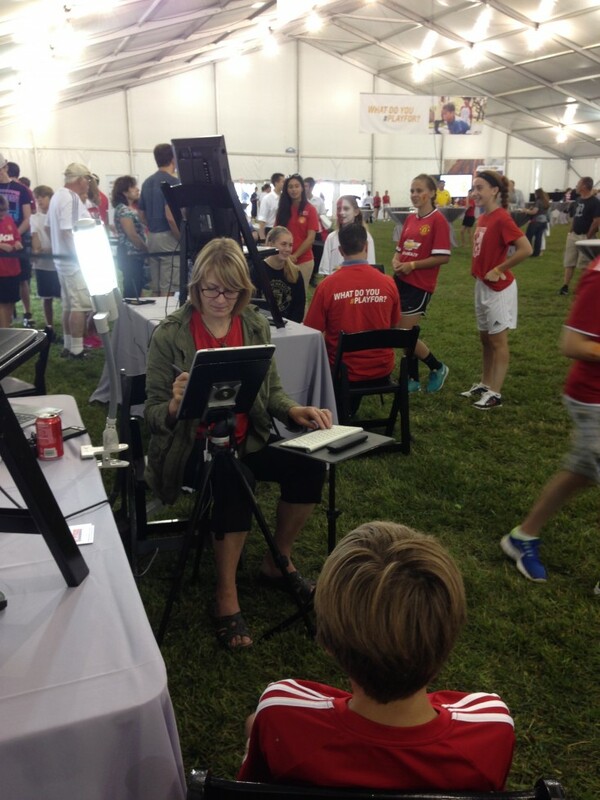 tent across the street from the match. 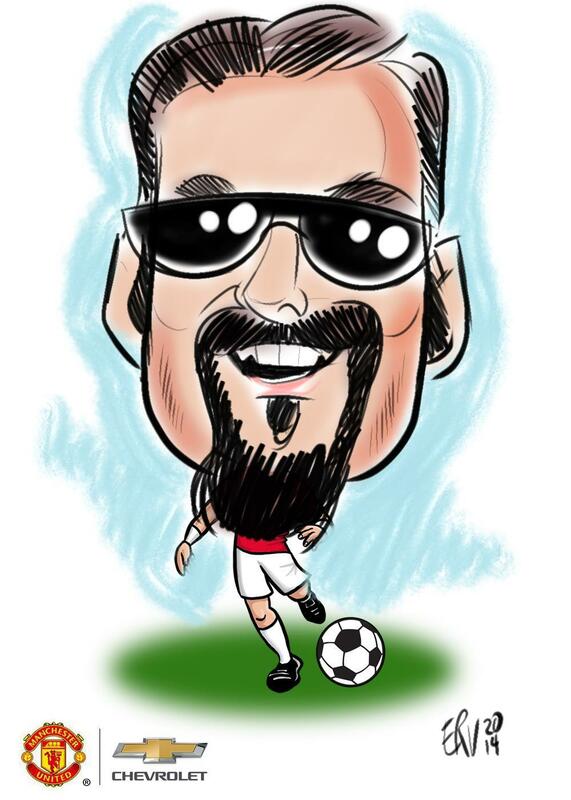 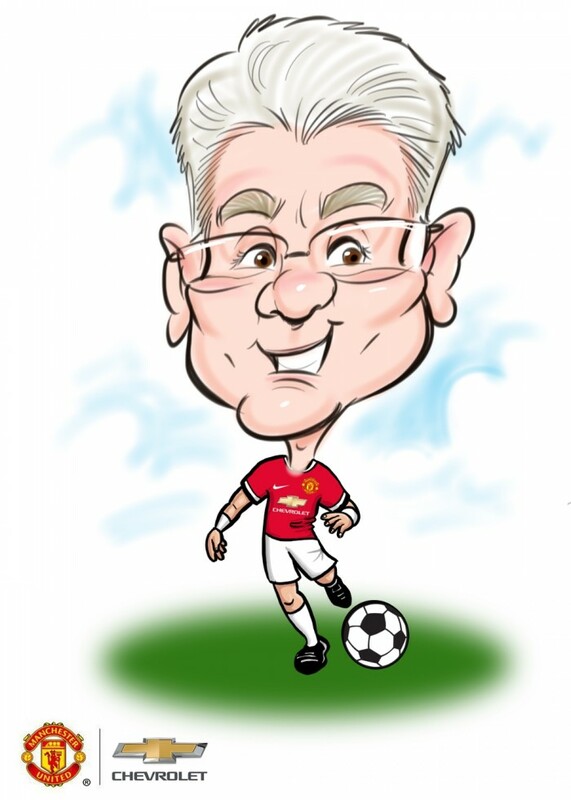 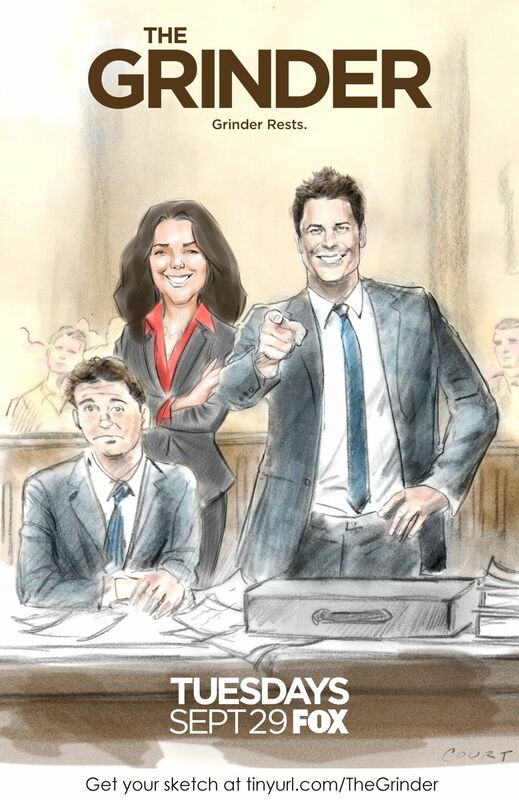 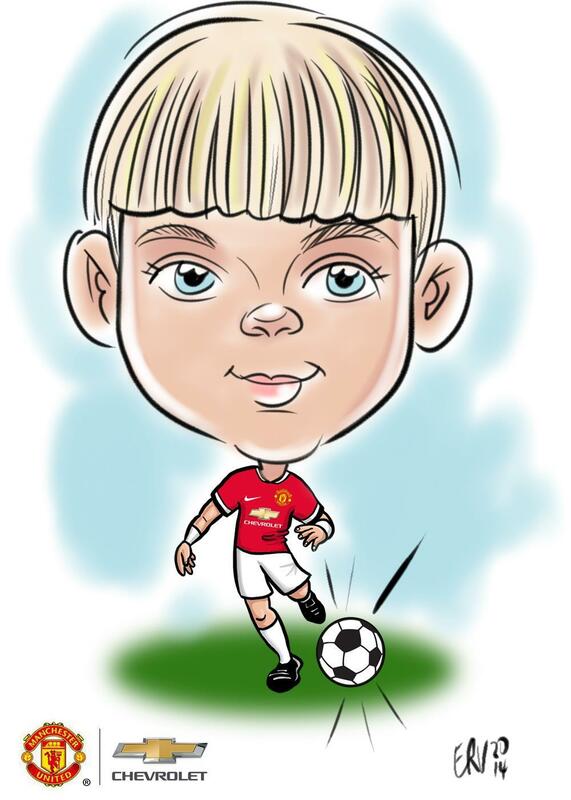 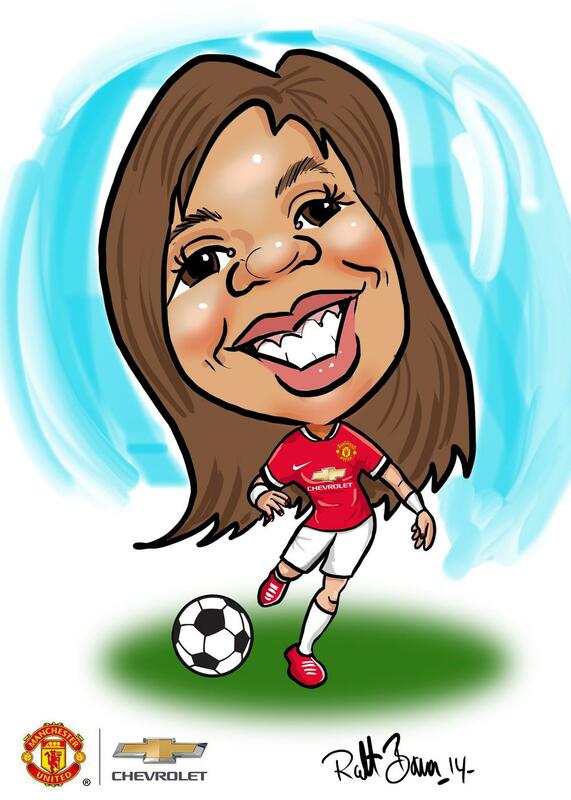 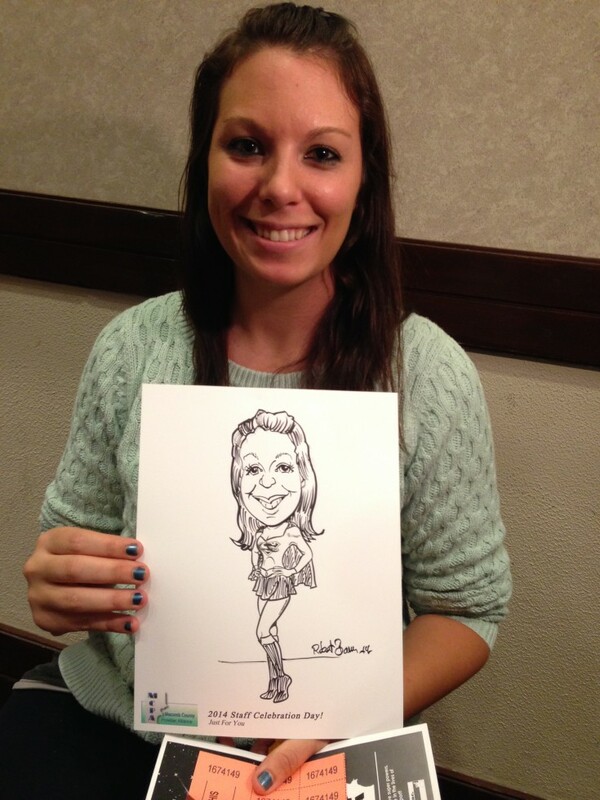 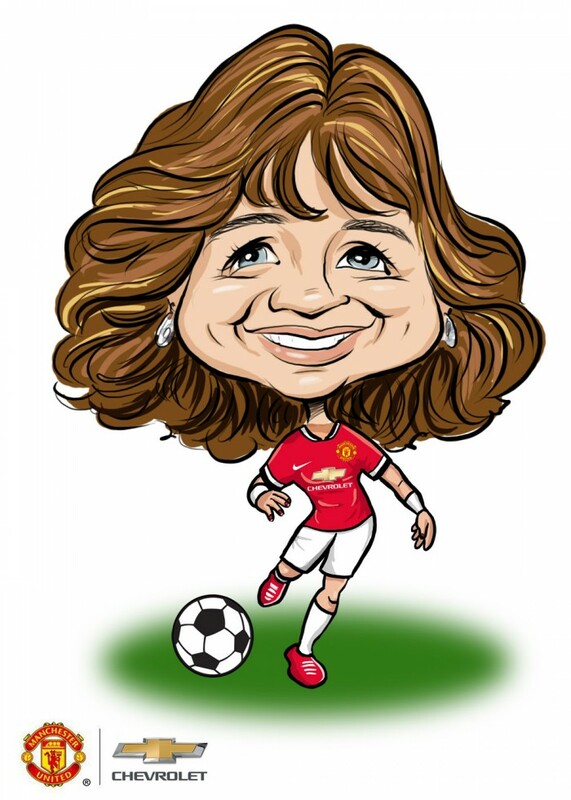 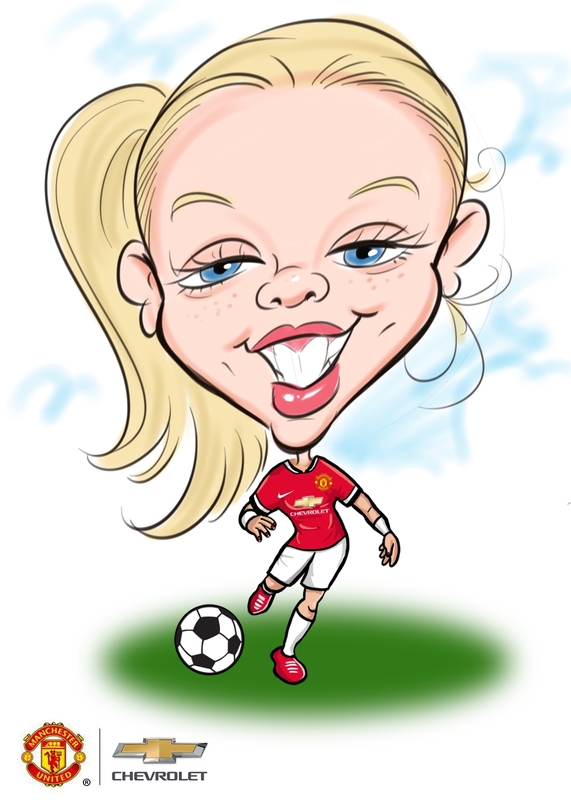 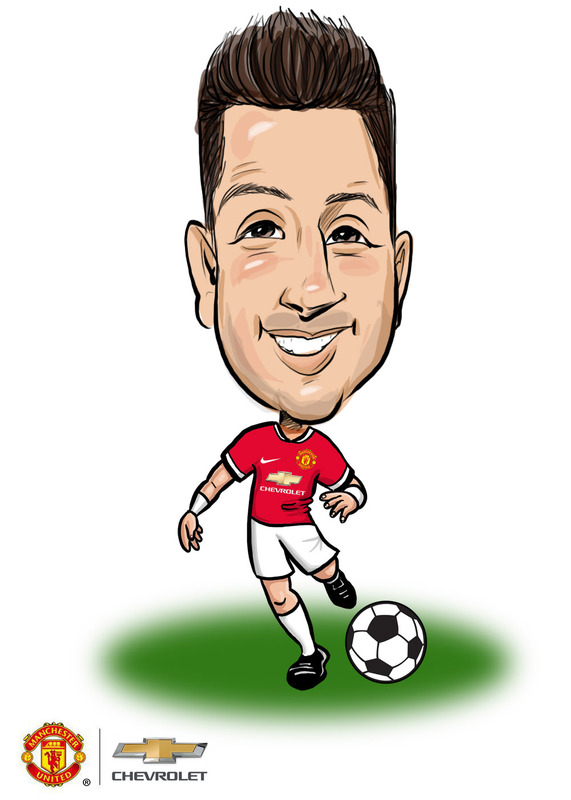 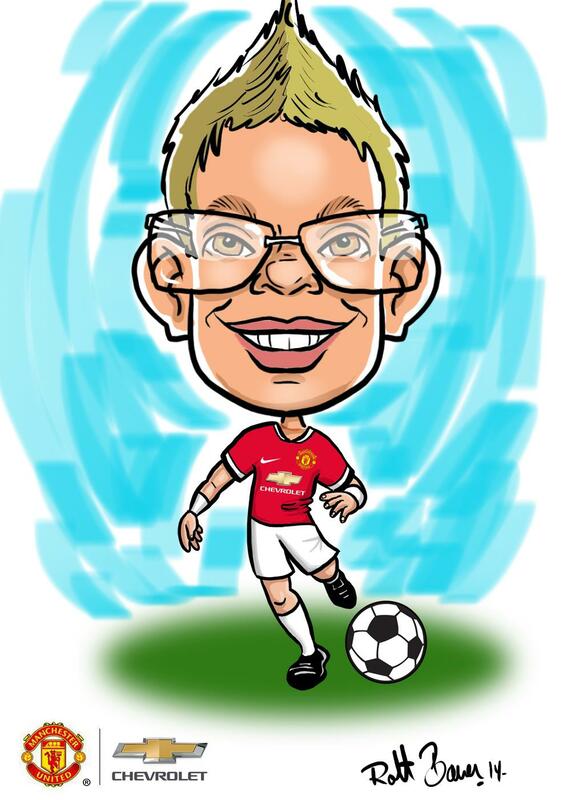 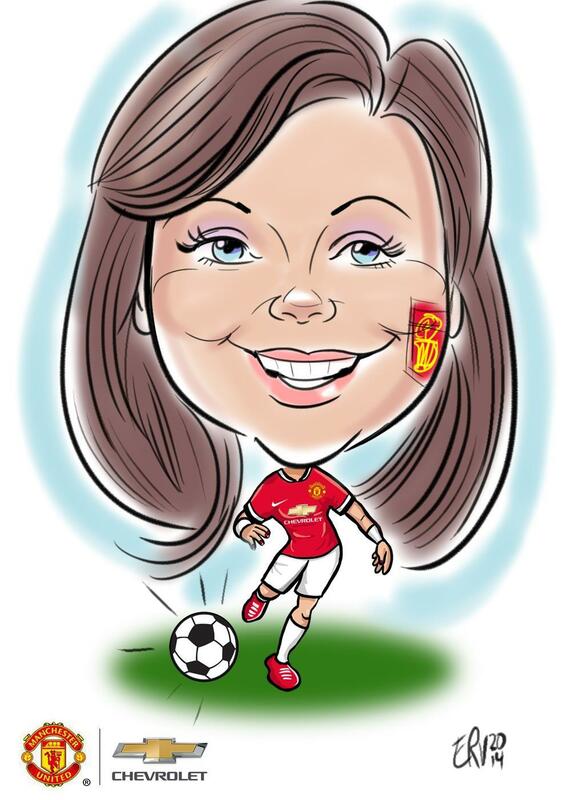 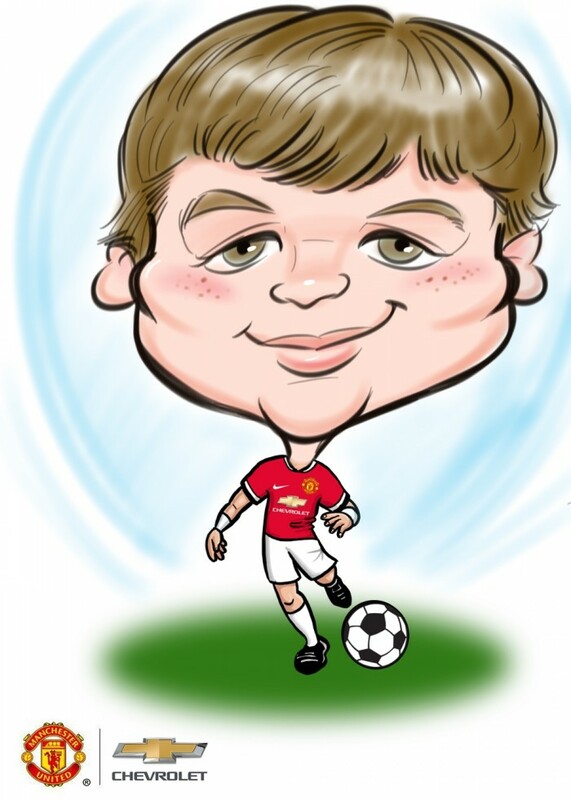 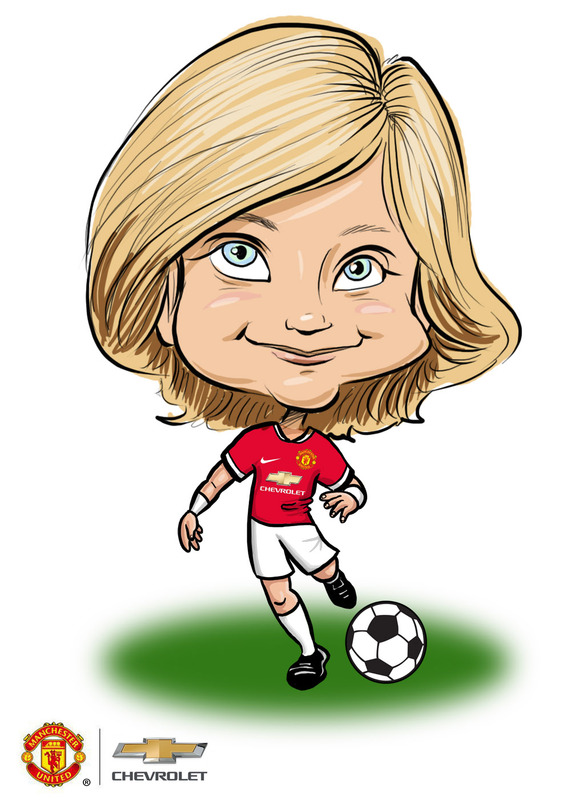 Each guest was emailed their final caricature which featured him or her in a Manchester United jersey playing soccer. 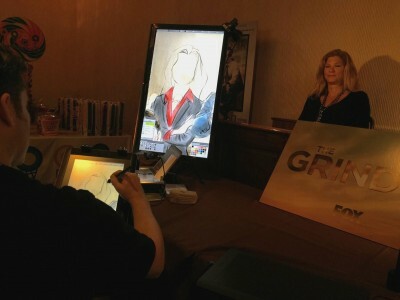 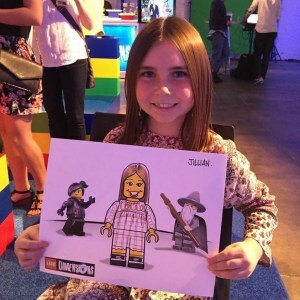 The artists drew 155 eSketches™ during the event.